APLA was incorporated to provide a place to exchange experiences and cooperate with other Asian people (including Japan) intending to create self-reliant local communities based on agriculture and fishery. Entering the 21st century, while economic globalization is rapidly accelerated, a scene is evolving throughout the globe, where disparities between urban and rural areas are enlarging, weakened people are further endangered, and the quality of our diet and food supplies is risked. On the other hand, many people have accumulated many experiences in creating other ways of living (alternatives) being independent from states and multi-national enterprises. 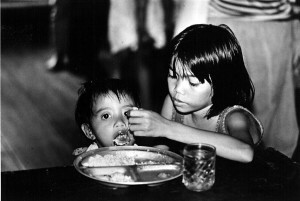 As the foundation of APlA’s activities, the results and experiences of the Japan Committee for Negros Campaign (JCNC) have been successful.JCNC’s activities, initiated to provide starvation relief for the Negros people during the 1980s, further evolved to cooperation activities for local self-reliance pursuits by sugarcane workers and marginal farmers in Negros. In one sphere of the campaigns, the JCNC made the concept of “people-to-people trade”, incorporating the Alter Trade Japan (ATJ), Inc. in cooperation with consumer groups in Japan. In twenty years of businesses, the ATJ expanded its partners of “people-to-people” commerce to Indonesia, East Timor, Palestine, and others. In addition, the JCNC addressed nurturing independent farmers and promoting exchanges between farmers in Negros and in other Asian nations, womens’ exchanges between rural and urban areas. Through these activities, we realized that it is important to create local-communities where people can earn livelihood with agriculture and fishery and face-to face solidarity and reliance between people in urban and rural areas, when we pursue peaceful life of the people against the globalization. To cooperate with the people of Asia in pursuit of local self-reliance is to question the livelihood of people of Japanese, where any and all food items from all over the world are distributed. APLA, beyond the conventional relations of “aid”, aims to plots the alternatives and organize networks for the alternatives. Here we introduce you to JCNC, the predecessor of APLA, which was in action from Feb.25, 1986 to Mar. 31, 2008, in order to describe our background and philosophy. 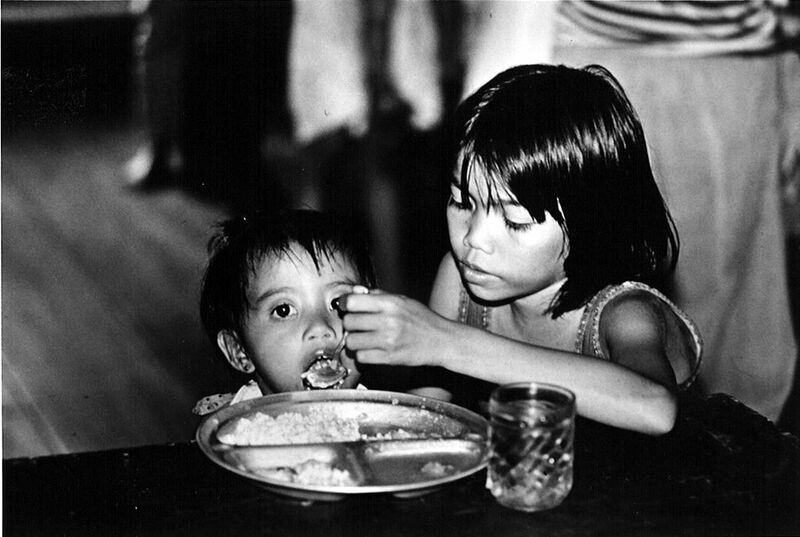 JCNC was an NGO incorporated in 1986 to organize fund raising campaigns to relieve the starving of people of the Negros Island, the so called “Sugar Island” in the central part of the Philippines. The Negros Island, belonging to the Visaya province of the Philippines, continued being dependent on solely sugar industry for more than 200 years since the Spanish colonial era. The society and economy of the island is still supported by sugar industry and 60 % of agricultural land in the West Negros Province is occupied by sugar-cane plantations. In second half of the 1980s, the international value of sugar crashed, causing severe starvation in Negros. The landlords halted sugar-cane production and waited for sugar prices to increase. 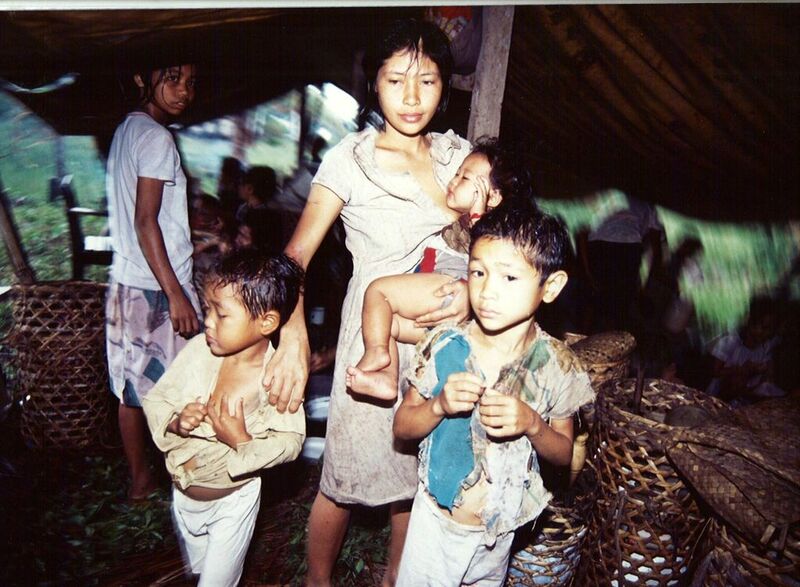 The plantation workers lost their jobs and became unable to buy rice to feed their children. This starvation was called “man-made starvation.” UNICEF reported that more than 150 thousand children were facing starvation. At the time in Japan, citizen groups concerned with issues of human rights of Filipinos in Japan and business advances from Japan to the Philippines had organized a network named “Japan Coalition of Philippines Concerns”. They began a relief campaign for the starvation. This joint campaign bore JCNC to organize emergent aid activities. The first task for JCNC was to obtain and distribute the information on Negros: where Negros is, what caused the starvation…. There was almost no interest or concern among the Japanese people about the structural poverty of Negros, which had been created from the colonial time. Therefore, the fund raising campaign went side by side with forming networks of people to inform them on Negros itself and the starvation there. JCNC put on music and play performance nationwide by Dessa Quesada, who was in action for culture and education works in the Philippines, involving people at churches, citizen-action groups, women groups, student groups, forming 24 local networks nationwide. The activities of JCNC evolved and varied responding to political situations and needs of the people of Negros at each time: emergent relief, people-to-people trading, support for land struggle, support for local self-reliance based on agriculture. Meanwhile, the Negros Island became an experiment site for an all-out war by the Aquino administration against the antigovernment forces after this time, displacing farmers in mountain-ringed areas, displacing many of them. Overseas aid NGOs had already retired from Negros in order to conduct support actions responding to the sugar crisis. Therefore there was no aid for the displaced people. Under the circumstance, JCNC provided, via local NGOs, food and medical supplies to the displaced people, as well as assistance to get shelters and resettlement sites, and help to start farming there. JCNC’s aid for the domestic refugees continued until 1992 when the localized war ended. 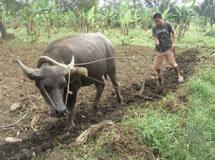 Along with the aid actions, it initiated assistance for self-reliant farming by local people. During this period JCNC encountered the members of consumer cooperatives of Japan. They asked JCNC to discuss developing economic activities in cooperation with the Negros people beyond aid supported by donation by cooperative members. They suggested “sanchoku” [consumers’ direct purchase from farmers in production areas] with the Negros and other farmers and producers. This practice used to be one of the unique merchandizing methods developed by consumer cooperatives of Japan. “Sanchoku” of Mascovado sugar, the Negros traditional brown sugar, and Balangon bananas, grown naturally in the mountain areas of Negros, was started. In order to undertake the practical business, Alter Trade Japan, Inc. (ATJ) was incorporated in 1989, with investment from consumer cooperatives, citizen groups and individuals. While the ATJ’s business got into gear, JCNC expanded its support for the Negros people to develop various items of produces not to be dependent solely on bananas and sugar. Responding to policy changes in the Filipino government from military control to economic development after 1993, conditions of the Negros Island also changed to allow people to address themselves to develop agriculture and local communities. In order to evolve the course, however, the remaining great task was Agrarian Land Reform. In the Negros Island, of which economic basis is founded by latifundism, land owners have been violently oppressing people and intervening in workers’ unions with their private armies, sabotaging land reform. JCNC assisted local people in obtaining their farming land under new laws employing cooperation with local lawyers, international campaign to pressure the Filipino government and agricultural support for land reform beneficiaries. 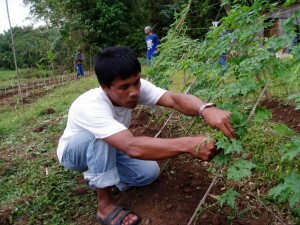 Although land reform in Negros Occidental had stayed at 60 % of the target, independent farms were emerging one after another under the reformation. However, the government did not provide any subsidy and support for the new farmers. Under the circumstance, local NGOs raised agriculture coaches to work with farmers guiding purchase of agriculture instruments and financing. JCNC in partnership with the PAP (People’s Agriculture Plan) 21, which was organized putting the 21st century in perspective by local organizations of the sugar workers, marginal farmers-fishermen, urban poor, NGOs involved in development assistance, addressed agriculture-based activities together with various layers of the Negros people. Since then JCNC continued pursuing diverse ways of farming and living of people, along with assistance for micro credit scheme for farming funds and for resolving irrigation problems. At the same time, it often provided the new farmers with exchange opportunities with more experienced traditional farmers(*). They began to organize producer cooperatives different from worker unions, gradually turning them into rice and vegetable growers. (*) Sugar cane growing is a particular kind of agriculture. It entails double cropping a year. Plantation workers shear off sugar cane and plant it twice a year. During the growth period of sugar cane they have almost nothing to do. Therefore, their living has to be dependent on their landlords during growing period. There is no use for cultivation technique for sugar cane growing different from other items of farming. The workers have no opportunity to learn farming cultivation technique so they stay manual workers. These circumstances a nourishes subordinate mindset in sugar-cane plantation workers Therefore, they need to be trained to become independent farmers, even if they obtain their own farming land. In 2006, JCNC and PAP 21 together reviewed their activities for a decade since 1995, and rejoiced the establishment of many self-reliant producer organizations. They decided to dissolve PAP 21, cognizing that its role as a center for NGOs has been over and JCNC ended its assistance for PAP 21 in 2006, deciding to initiate new activities to share the experiences of successes and failures which JCNC have with people of other areas, and learn from each other beyond locality and national boarders. In this way, JCNC closed its activities at the end of March 2008 handing over the experiences to APLA. Banana growers living in mountainous areas and former sugar-cane plantation workers turned into independent farmers through the agrarian land reforms are forming farmer groups not being isolated and scattered about in different areas to joint together into a great flow beyond regions. They are addressing cooperative shipping and initiating the “chisan-chisho” [to produce and consume locally] practice linking between people in rural and urban areas. The Negros Island is the fourth largest island of the Visaya Islands located in the center of the Philippines. Its main industry is sugar production accounting 60 % of the national sugar production, being nicknamed “Sugar Island”. Only three percent (3 %) of the population own sixty percent (60 %) of the total area of the island. This unequal social structure has continued from the Spanish colonial time. Northern Luzon used to be a large Balangon banana production area next to the Negros Island before suffering from disease damage and consecutive typhoon damages. Overcoming the difficulties, the banana growers began to grow and supply vegetables, corn, and pork locally. Most of them were Indigenous People. They have reserved their ancestral land going to be exploited by mining and organized producer-farmer cooperatives in 8 regions to relieve themselves from discrimination and poverty and are plotting to ship their produces to major cities such as Manila and Baguio city. People of many different tribes including Ifugao, Benguet, Igorot live there. After the World War Ⅱ massive deforestation was executed for exportation. Large portion of it was directed to Japan. There are rich mineral resources such as gold, copper, manganese and chromites, and mining ventures with foreign capital are actively entering this area. East Timor is the first independent state in the 21st century becoming independent in 2002 after the colonial ruling by Portugal for 400 years and oppressive ruling by Indonesia for 25 years. Even today eight years after the independence, however, its supply of commodities such as rice and drinking water still depends on imports from Indonesia at high prices. Like Negros with the sugar mono-culture economy, East Timor is trying to depart from the mono-culture economy depending on coffee farming continued since the colonial time, aiming to create rural community as self-sufficient with diversification of agriculture products. 75 % of the population are engaged in agriculture. UEDA Makoto President, Alter Trade Japan, Inc.
Councilors AKAMATSU Yuki Operation Division Cieif, Alter Trade Japan, Inc.
AKIYAMA Sumie Exective Director, The BMW Technology Association, Inc.
© 2019 APLA All Right Reserved.